Like any other criminal offense, a prosecutor must be able to prove a defendant’s guilt beyond a reasonable doubt in order to convict a defendant of driving under the influence. To do this, the prosecution must be able to present clear evidence that tends to prove defendant’s guilt. This evidence can come in the form of witness testimony, chemical test results and audio and video recordings. The defense can challenge the prosecution’s evidence and can also present its own evidence in support of the defendant. The strength of the prosecution’s case will hinge upon the evidence presented. When a defendant appears for his or her DUI arraignment hearing, the defense is provided with a copy of the complaint and the incident reports prepared by law enforcement. While these reports will not be introduced as evidence, they are extremely important because they were prepared at or close to the time of the arrest and the arresting officer would be expected to testify consistently with what was written in these reports. At arraignment, the defense is also provided with a copy of the breath or blood test results. 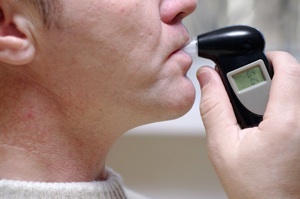 For the breath test, the results will be printed on something that looks like a receipt and lists the test times and corresponding blood alcohol concentration results. For the blood test, the People will usually provide documentation prepared by the crime lab regarding the results of the blood analysis. If drugs were found in the defendant’s blood sample, the test results may only indicate whether the defendant tested “positive” or “negative” for a particular drug. In these situations, the defense may want to have a split of the original sample sent to an independent laboratory for qualitative analysis to see how much of any particular drug was found in the blood sample. The defense can follow up with a request for additional discovery material. The prosecution is obligated to turn over all relevant evidence to the defense. This can include video evidence of the traffic stop and arrest, audio recordings of 911 calls or witness interviews, police dispatch recordings, calibration and maintenance records for the Breathalyzer device, chain of custody reports for blood samples, photographs, accident reconstruction reports and numerous other items. These items can be presented during trial as evidence by either the prosecution or the defense. In many cases, the defendant’s own statements and admissions regarding drinking will be used as evidence against him or her. The defense may file a motion to suppress evidence pursuant to California Penal Code Section 1538.5 PC. If the vehicle stop or arrest was conducted without reasonable or probable cause, the Court may suppress all resulting evidence of the defendant’s guilt. This is typically heard before trial and the prosecution and defense may present evidence pertaining to the vehicle stop. Often, the dashcam video, if available, can be extremely valuable in determining whether or not there was reasonable cause to stop the defendant’s vehicle. It may be necessary to present expert testimony at trial or at a driver’s DMV hearing. Experts may be available to testify regarding the driver’s alcohol metabolism and whether or not the driver’s BAC was above 0.08 percent at the time of driving. In many cases, a driver’s rising blood alcohol level can result deceptively high test results. Experts may be called to testify about medical conditions that may have affected the driver’s appearance or performance on field sobriety tests as well as those who can explain inherent problems with the breath test device or the blood test. In some cases, a defendant’s DUI trial will become a “battle of the experts” as the prosecution and defense present conflicting expert testimony. If you have been arrested for a DUI offense, it is critical that you consult with a Los Angeles DUI Lawyer as soon as possible. Attorney Michael Kraut is a former Deputy District Attorney with over 14 years of prosecutorial experience who understands how to best attack prosecution evidence as well as how to effectively present exculpatory evidence on behalf of his clients. Mr. Kraut is recognized throughout the legal system as a tough litigator who possesses a thorough understanding of DUI law and procedure. For more information about Los Angeles DUI evidence, and to schedule your free consultation, contact Michael Kraut at the Kraut Law Group located at 6255 Sunset Boulevard, Suite 1480, Los Angeles, CA 90028. Mr. Kraut can be reached 24/7 at 888-334-6344 or 323-464-6453. When is Chemical Testing Conducted in a DUI Case?